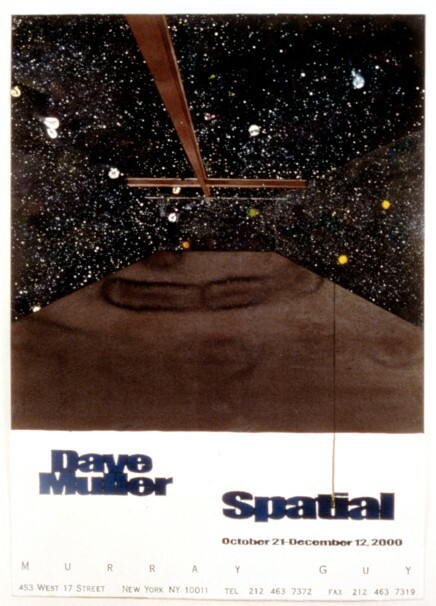 Dave Muller: Connections, features the artist's ongoing series of drawings and watercolors that are his personal interpretations of art exhibition announcements and invitations by various museums and galleries. 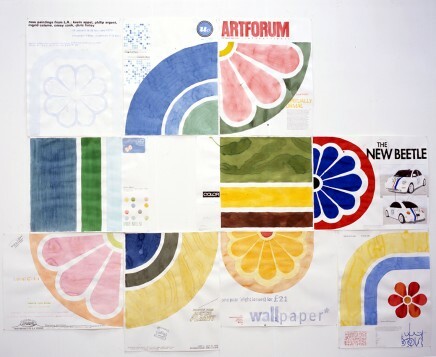 Inspired in part by amateur flyers created by fans of indie-rock bands, Dave Muller began producing watercolors based on exhibition announcements of artists he admired. 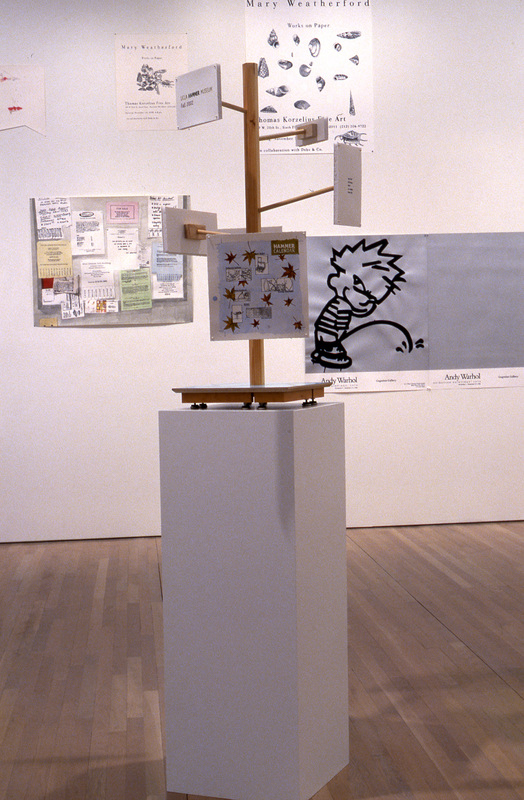 These acts of homage are not copies, however, as Muller transforms and personalizes them, often with a wry sense of humor. 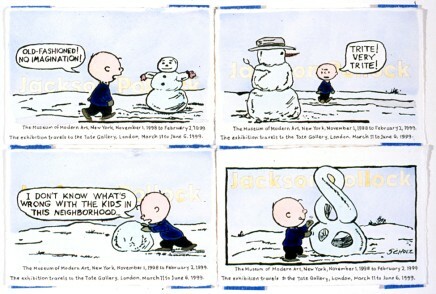 For example, in a 1999 series of four watercolors announcing the Jackson Pollock retrospective exhibition at The Museum of Modern Art, Muller drew scenes of Charlie Brown walking through a snowy landscape while commenting upon the artistic merits of different snowmen: "Trite! Very Trite!" and "Unimaginative." Muller also appropriates the work of other artists, only to transform it into something new. Muller clearly acknowledges the historical precedents to his artistic practice, yet in its anti-monumental stance and idiosyncratic character, his work is very much his own. 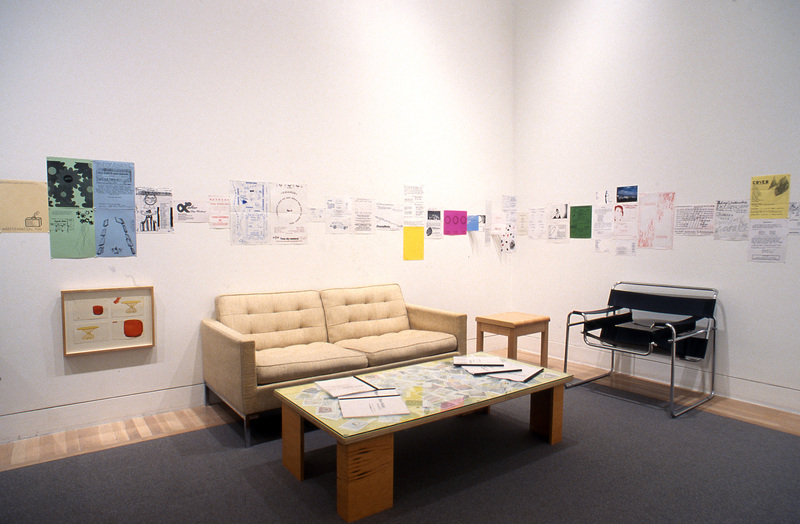 This exhibition was organized by Amada Cruz at the Center for Curatorial Studies Museum, Bard College, Annandale-on-Hudson, New York. 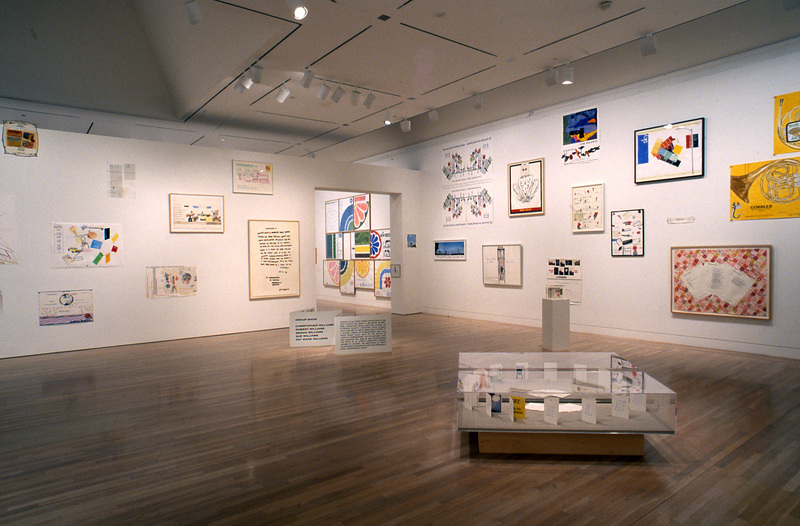 This exhibition is supported by grants from the Peter Norton Family Foundation, The Audrey and Sydney Irmas Charitable Foundation, Martin and Rebecca Eisenberg, and Kenneth L. Freed.